Stay a minimum of five nights at Gaya Island Resort to receive a complimentary upgrade to two nights’ stay at Hotel Stripes Kuala Lumpur. 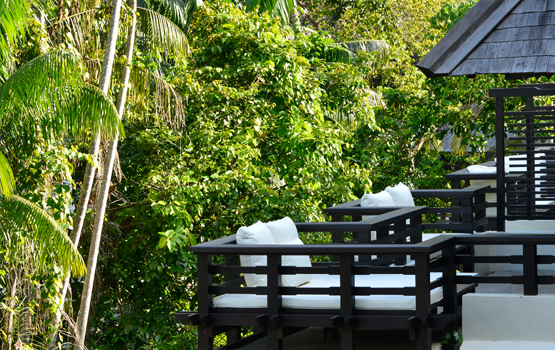 Stays at both Gaya Island Resort and Hotel Stripes Kuala Lumpur are to be utilised during the same travel period. Complimentary stay at Hotel Stripes Kuala Lumpur can be accumulated from similar offers extended at Tanjong Jara Resort and Pangkor Laut Resort, on condition that it is utilised during the same travel period. Complimentary stay at Hotel Stripes Kuala Lumpur is not exchangeable for cash and will be forfeited should it not be utilized. The Book Direct Benefits of a complimentary 50-minute couple’s massage and a complimentary return scheduled speedboat transfers plus the additional discount under Private Offers do not apply to this offer.